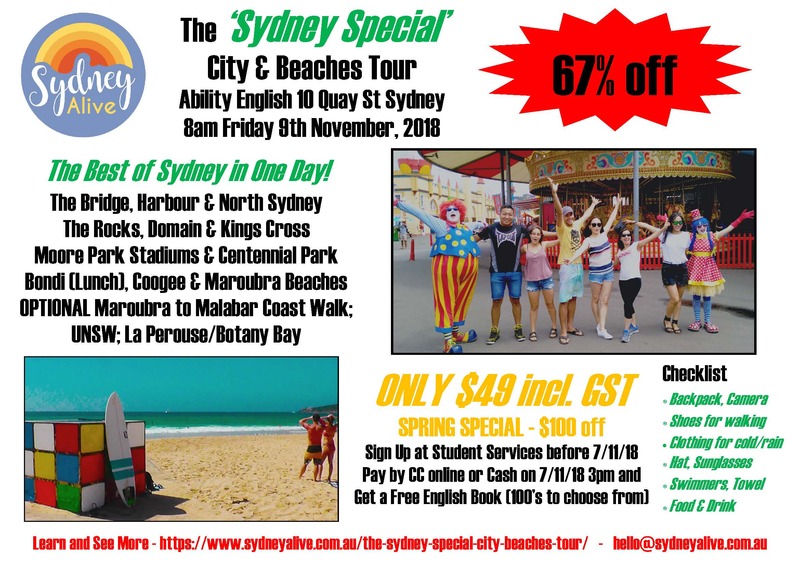 The ‘Sydney Super Special’ is the ‘Sydney Special’ with a fun and informal English lesson. 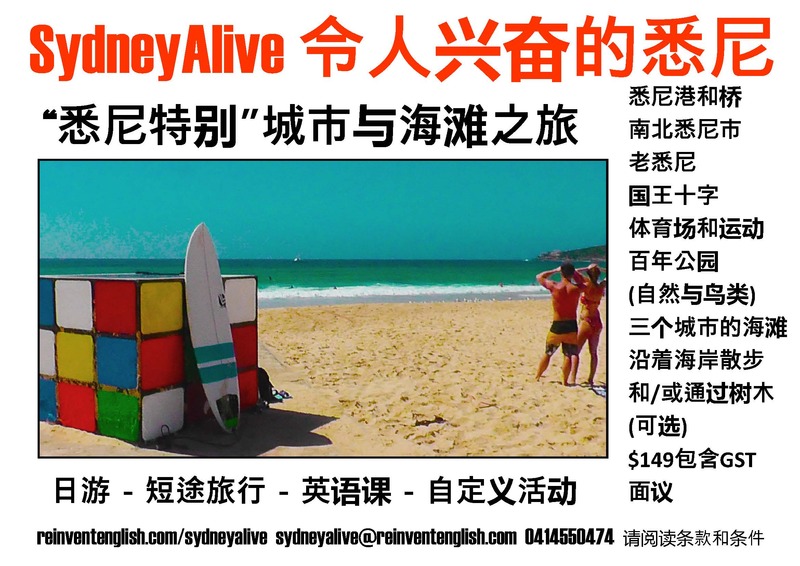 A great orientation to Sydney for new arrivals! 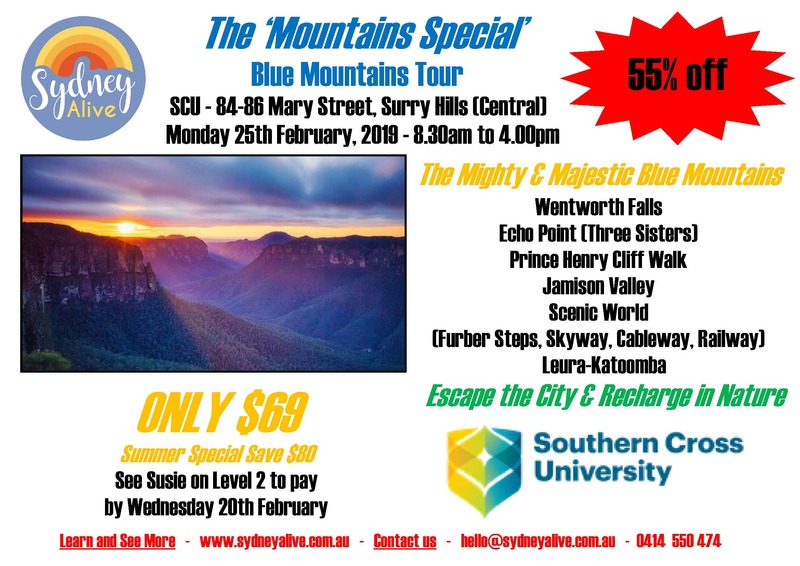 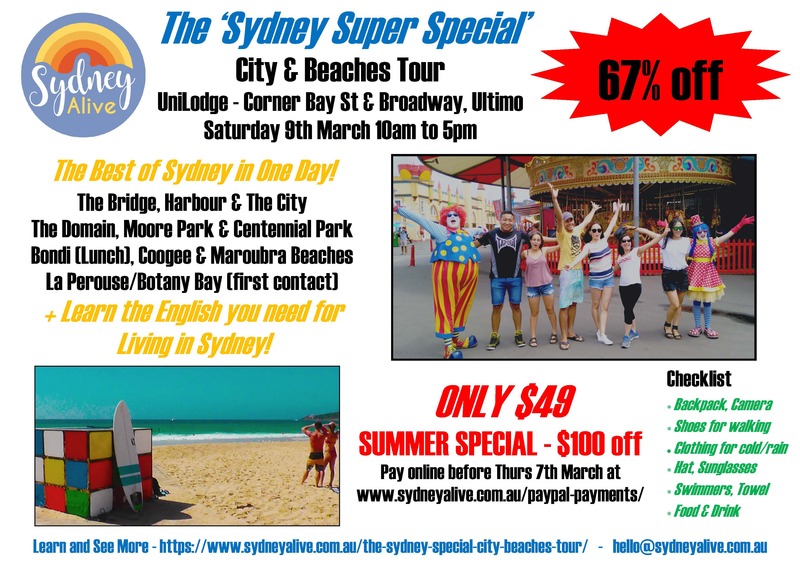 The ‘Coast Special’ is the ‘Sydney Special’ without the city part and more coast and beaches.